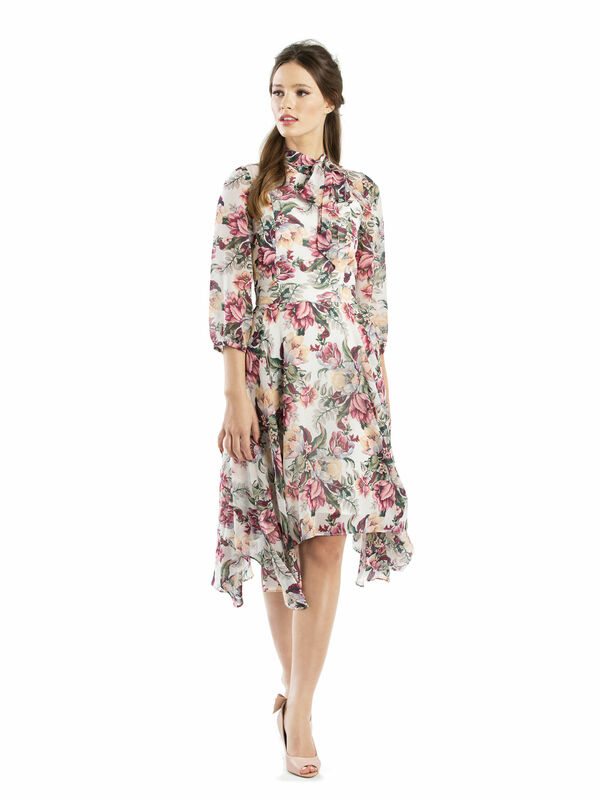 Vanilla Twilight Dress https://www.review-australia.com/global/vanilla-twilight-dress-vanilla/RE19DR474.REWTE040.html Made from lightweight material, the Vanilla Twilight Dress is a breezy, long flowing outfit perfect for autumn picnics or parties. 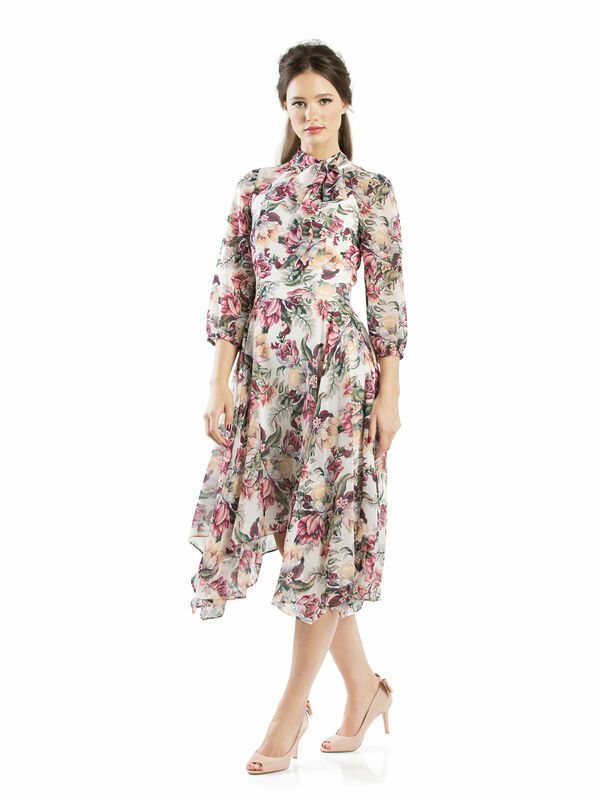 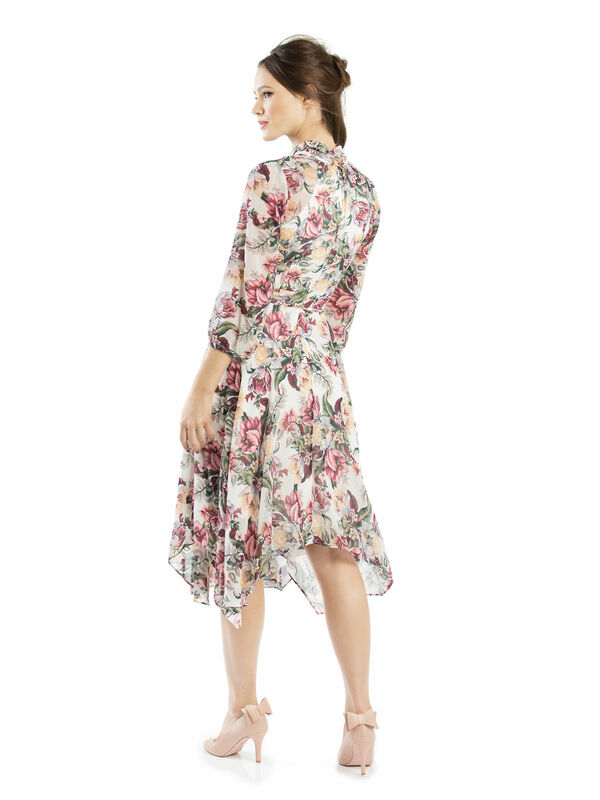 Made from diaphanous cream-coloured material starring a bold floral print, the soft look is enhanced with three-quarter sleeves, a frilled skirt edge, and a bow that ties at the neck. 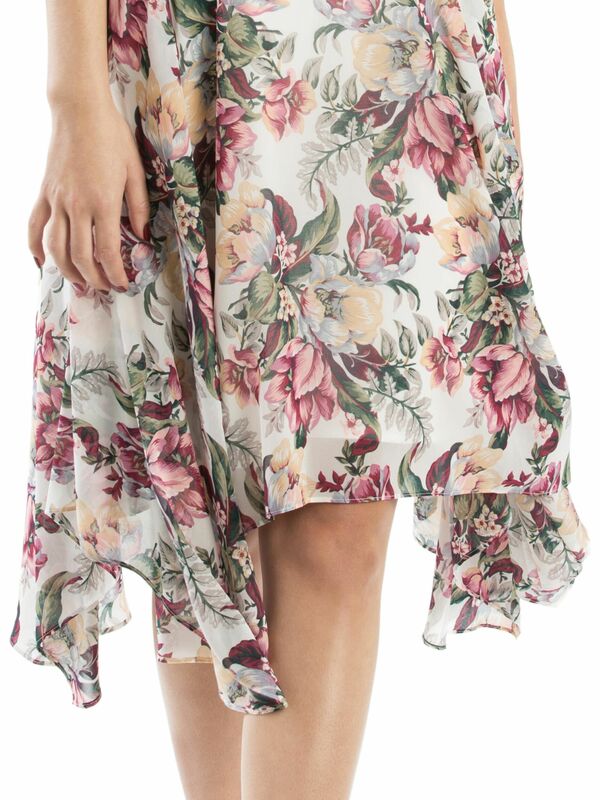 A concealed zipper at the back ensures a fitted finish.